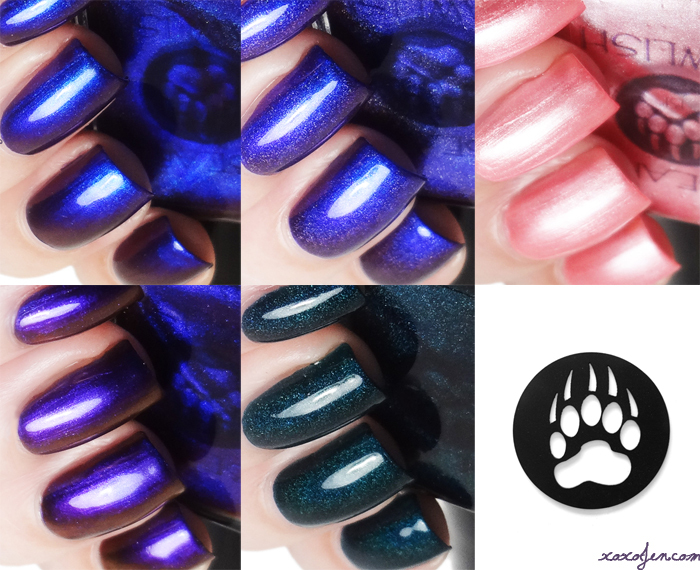 xoxo, Jen: Bear Pawlish: Bringing it back and new topcoat! Bear Pawlish: Bringing it back and new topcoat! Bear Pawlish is bringing back some much requested shades and I had the chance to swatch and share them all with you! In addition to these, she is also launching her quick dry top coat, Oso Quick! She'll be sending a bottle of that to me to try soon as well! 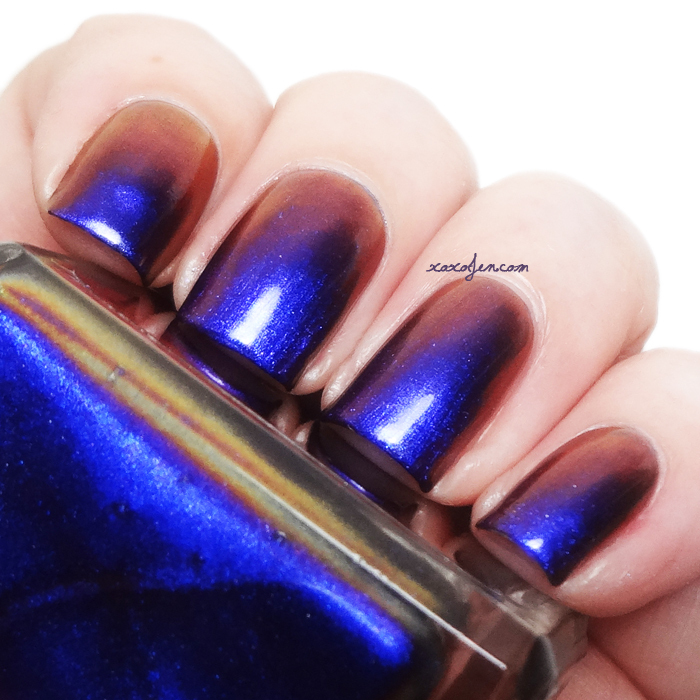 Jabberwocky is a multichrome shifter and she's a little camera shy sometimes, so I took a fourth image which captured all the colors in one image - blue, purple, and a coppery reddish shade. I wore three coats with topcoat for the images. The formula was good - it seemed to dry a little quickly for me so Tennessee is going to do a little tweaking so that the launch bottles will be perfect! 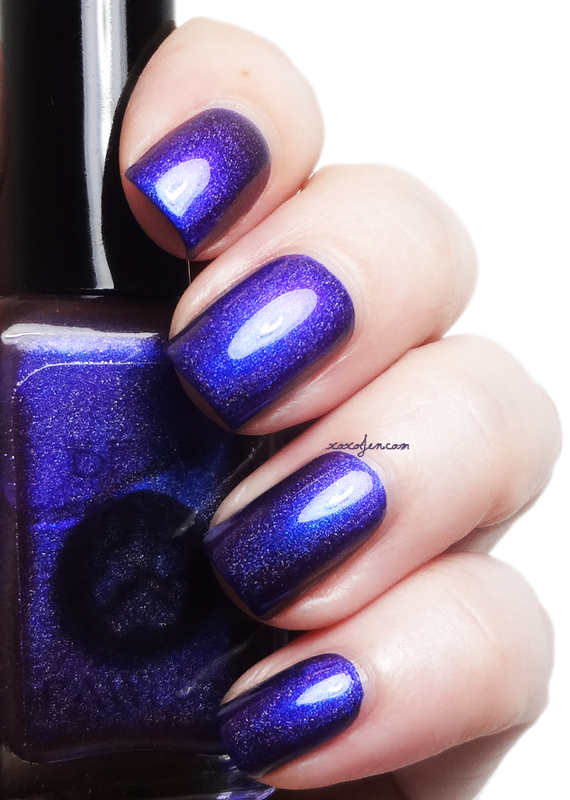 Luscious is also a multichrome shifter with blue, grapey purple and violet purple! I fell hard and fast for this one! The formula on this one is similar to Jabberwocky, but I only needed two coats for opacity and may have gotten away with just one. It's quite pigmented! Luscious...in holo! 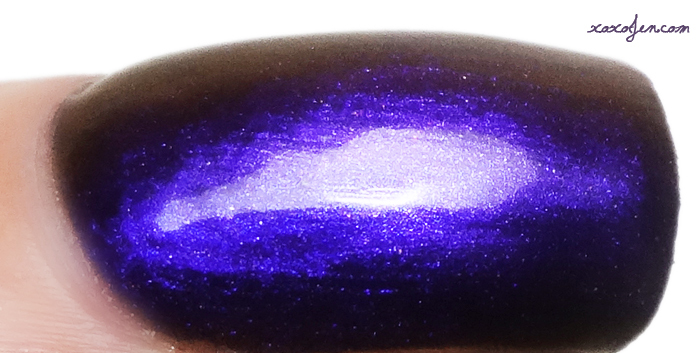 Yep this is the same polish as above, but with holographic pigment added and is a new addition to Bear Pawlish's line up. The holo pigment lightens the shade of the polish a hare, beautiful isn't it? And I've saved my favorite for last, this is Poor Unfortunate Soul, a rich dark teal leaning green with a holographic effect. 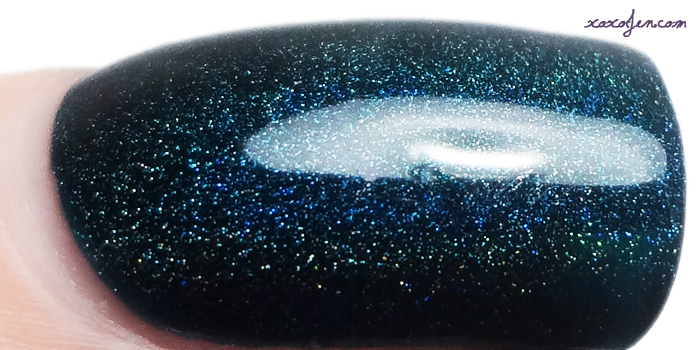 When I look at this polish it's like looking into something infinitely deep. I am totally wowed by this one and quite smitten by it! The formula is perfect, it practically applied itself. The only clean up I did, was to straighten out the curve near the cuticle just a tad on a couple of nails. All five of these polishes plus the new topcoat will launch May 1 at 11am Central time in the Bear Pawlish shop! Please comment and let me know if you've enjoyed the review and photos! Gorgeous swatches! The multi-chromes are seriously pretty!